Ashwat Narayanan is Director of Transportation Policy of 1000 Friends of Wisconsin. He works on several transportation policy issues including state and federal funding, context sensitive highway design, climate change solutions and sustainable transportation strategies. 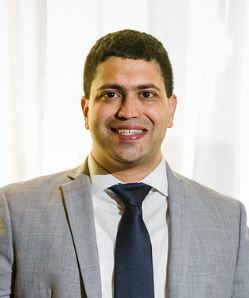 He has over 7 years of professional experience, including four years managing infrastructure projects at Atkins, Inc. Ashwat is a nationally recognized expert on transportation and land use issues and has spoken widely at conferences and on television and radio. He studied transportation engineering at the University of Wisconsin-Madison.